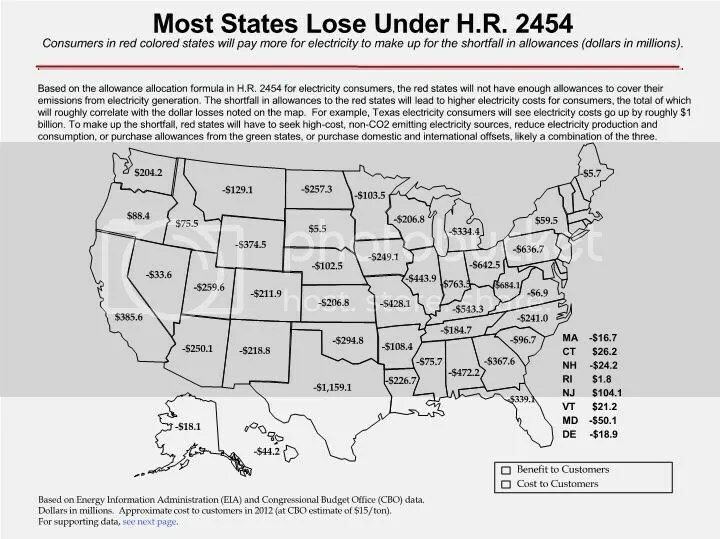 According to this chart, Delaware will lose BIG TIME if H.R. 2454 (Cap-and-Trade) is signed into law. $18.9 Million to be exact.